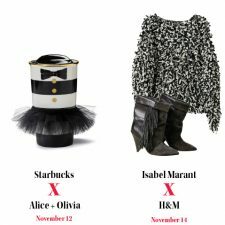 Is there a step above “it” girl status? If there was, we think that Alexa Chung has already arrived. After just releasing her new book, appropriately titled “It,” the model turned style icon turned mogul is collaborating with British cosmetics brand Eyeko. 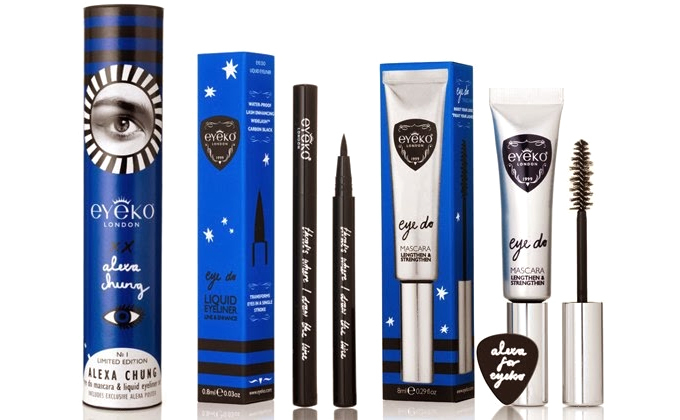 Well known for her cat eye, Chung and Eyeko will be releasing a makeup set to help attain that irresistible look that women everywhere are trying. Within the set, one will find ‘Eye Do’ mascara, liquid eyeliner, a poster of doodles by Chung, and a guitar pick to prevent those annoying smudges. I personally use a plastic spoon, but a guitar pick just sounds so much more appealing. Like her book, the packaging of the product features a single, solitary image of her cat eye. You can order the set on Eyeko’s website and it will also be available on November 14th at London’s Selfridges on Oxford Street. 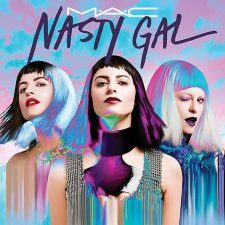 For those of you in the U.S., start your new year right when this kit becomes available at Sephora in January. Bridget is a writer, stylist, and vintage clothing dealer based in Kennett Square, Pennsylvania. Bridget enjoys spending time with her boyfriend and guinea pig, and in her spare time sells vintage at local flea markets . Bridget is currently obsessed with Zooey Deschanel's wardrobe on New Girl, Moroccan food, and microcars.